This evening I finished putting together side 2 of the lap quilt. This side has a lot more different fabrics and the process went much more smoothly; almost no seam ripping. 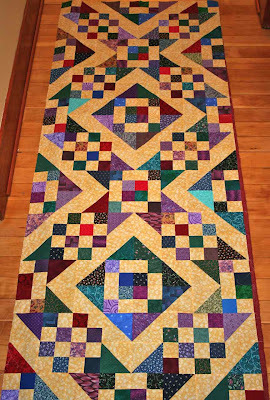 Tomorrow I'll do borders and this project will be ready for machine quilting. 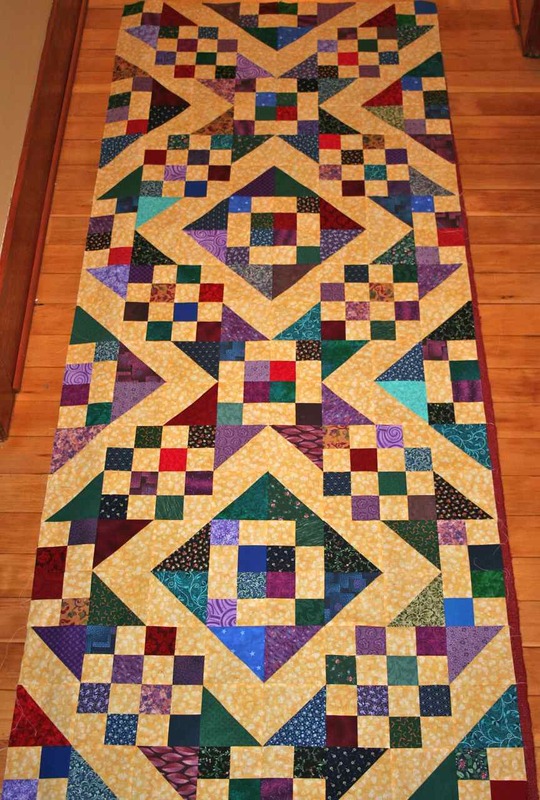 I'm not entirely sure if I'll send it out to be quilted, or if I'll try to quilt this one myself. I've never done anything bigger than a pillow sham before, so I may send it out.